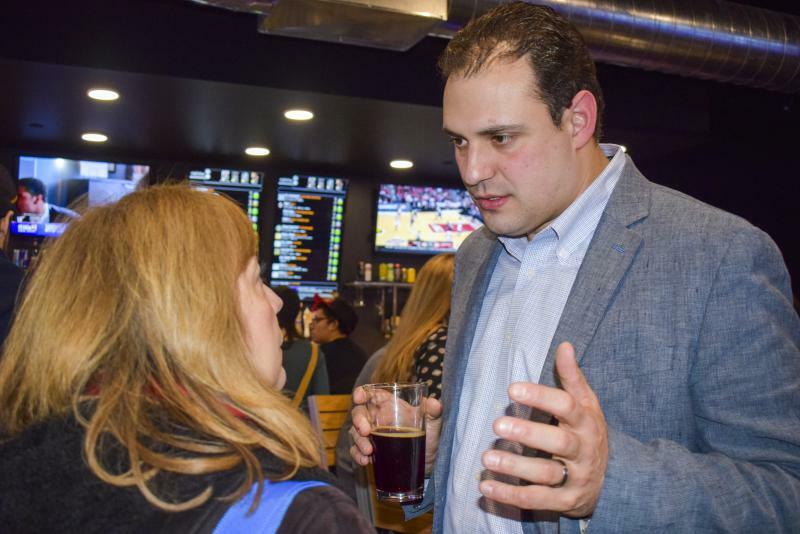 McLean County Board member Carlo Robustelli speaks with GLT's Judith Valente at Shayna Watchinski's watch party Tuesday, March 20, 2018, in downtown Bloomington. The number of Democrats turning out for Tuesday's primary more than tripled over the number that voted in 2014. McLean County Board member Erik Rankin said Democrats running for local and statewide office feel emboldened, but predicts a tough go for Republicans in November. 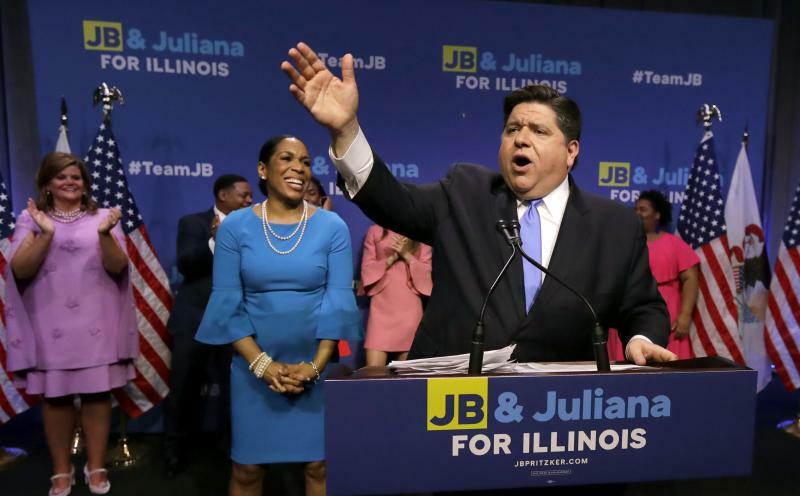 "They are dealing with one of the most unpopular presidents in the history, one of the most deeply unpopular governors in the country ... If I was a Republican, this is a really down year," Rankin said Wednesday. "What has changed is people are really motivated to get involved and make change." Put another way, 3,827 primary voters took a Democratic ballot in 2014. On Tuesday, that jumped to 13,056. Rankin said Democrats "have been emboldened by race after race ...They really feel they have started to turn the tide from the massive Republican majorities (in local government and statehouses) across the country." Locally, he said Democrats will be "very aggressive in engaging our different groups and knocking on doors, and raising funds, and providing an overall structure for our candidates." He predicted success for Democrats running for county, state, and federal office. Rankin is one of three people running to lead the McLean County Democratic Party. Longtime party chair John Penn is stepping down. Two other Democrats have said they would like to lead the party. They are current co-chair Dorothy Deany and progressive activist Patrick Cortesi. McLean County Board member Carlo Robustelli, also a Democrat, credits the strong turnout by his party to the strength of its slate of candidates. "Candidates and their campaigns drive enthusiasm. It is clear that our candidates were speaking directly to the issues people are concerned about," said Robustelli, who represents District 8 (Bloomington's west side) on the McLean County Board. 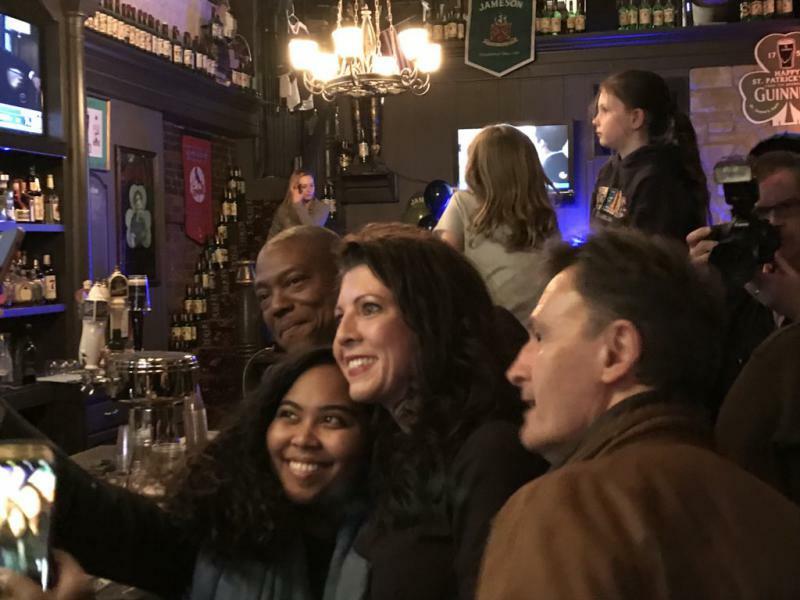 Robustelli supported Shayna Watchinski, a first-time candidate who challenged longtime Democratic incumbent Paul Segobiano for the other District 8 county board seat. Watchinski won Tuesday in a landslide. "With really well organized campaigns and a message that was connecting with voters, we saw a tremendous outpouring of individuals who wanted to be part of this election, and I think that's great," Robustelli added. Robustelli said he doesn't know if the county is on its way to becoming majority Democratic or even evenly divided between Democrats and Republicans. However, he said he believes the county is experiencing a political "awakening," and local Democrats are more motivated than in the past to advocate for their causes. "For a long time people were just passively participating in their democracy ... What has changed is people are really motivated to get involved and make change," Robustelli said. 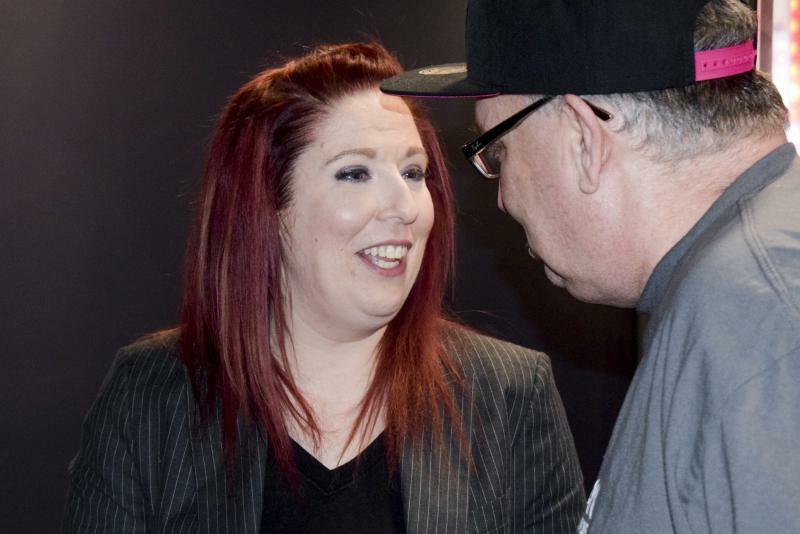 Shayna Watchinski declared victory Tuesday over Democratic incumbent Paul Segobiano in their McLean County Board primary race. Betsy Dirksen Londrigan emerged victorious Tuesday in a five-way Democratic primary for the 13th Congressional District, setting up a general election matchup against U.S. Rep. Rodney Davis in November.